I’m a person who avoids horror. Not because horror scares me, but because it bores me, and if it doesn’t bore me, it frustrates me to the point where I scream at the television or the book in my hands. As a child, however, many things frightened me—scary things. Back in the glorious 1990s, Nickelodeon aired Are You Afraid of the Dark? (which I most certainly was). Kids gathered around campfire, spooking each other with ghost tales, and I will never forget the story of the haunted pool. The Tale of the Dead Man’s Float episode didn’t frighten me of ghosts or even pools; it made me fear water. Shower time? Not before it the water-monster strangles me. Take a swim? I’ll pass. Glass of water? He’s going to suffocate me from the inside! So what does a ridiculous ‘90s show have to do with Extremities? 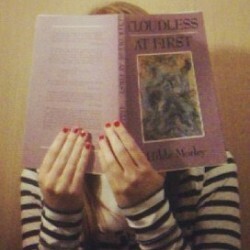 Just like Are You Afraid of the Dark?, who will get the most enjoyment or thrills from Extremities depends on the reader. Looking back, Are You Afraid of the Dark? is as cheesy as cheesy gets. But the fact is that it still scared me and gave me an irrational fear of water. Now that I’m much older, what scares me has changed. People-eating giants makes me shiver, zombies are creepily fascinating, eerie dystopian settings horrify, and the psychological aspects to all these both terrify and excite me. Reality itself, even, can zap me dead in a second. These concepts put me in a panic—zero of which I find in Extremities—but none of this stopped me from reading Lubar's book. If there is one thing Lubar wants to note, it’s that “this is not a book for children.” Indeed it’s not, but I think who Extremities is most appropriate for varies. “At rare and random times, without any plan on my part,” says Lubar, “a story will emerge that is too dark, too heartless, or, dare I say it, too evil, for my young readers.” But that’s exactly it, that’s my problem. I didn’t find any of the stories within Extremities too dark, heartless, or evil. What I did find was a lack of suspense, predictable twists, and writing that wants to be smart but falls short. When I first spied David Lubar’s Extremities, I felt a pull that I couldn’t resist. My lack of acquaintanceship with horror drew me to Lubar’s collection, as if we were a cute match but doomed to a petty break-up. 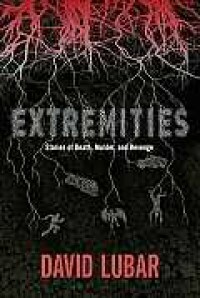 While I thought I would like Extremities, the book serves as a reminder why I scarcely wander into this genre. David Lubar’s collection dances familiar paths of similar stories that have come before it. Although this doesn’t deem the book ‘poor quality,’ why didn’t the author take new turns? Hold my hand and lead me to a place I haven’t been before. Be daring and dangerous. Take risks. Whatever you do, dream beyond what’s already been done. For each story, events flip-flop for the hero or heroine—either the character comes out the victor or victim, depending on how the story opens. Lubar’s tales take expected turns and end in likely fashion, which strips away the element of shock. Once the story reveals itself, usually paired with the title, the end becomes clear before the reader gets there. Prior to starting Extremities, I expected stories that weren’t horrifying or dark, but original ideas that held interest and surprise. These stories should have captivated me by their warped characters and by the irony of events, or at least that is what I wished for. Well, Raya, maybe the fright doesn’t come from the conclusions. Maybe David Lubar’s point has nothing to do with unprecedented twists. I get that. Extremities is not intended to make the reader scream or spend a restless night waking from nightmares. It is intended to make the reader shudder, perhaps, at the thought of what these character do, witness, and experience. At the same time, I can’t deny that ingenuity would’ve helped improve the collection as whole. As one reader out of many, I didn’t shudder. I snickered at the irony and turn of events, and only because I saw them coming. If I wasn’t eyeballing the text with an ‘I told you so,’ I felt nearly bored. And yet… Extremities mildly entertained me. For all that I’ve said, not everyone is doomed to have the same reaction. What Extremities needs most is the right audience—and that does not include me. There is something to be said for entertainment value, and for these reasons alone, David Lubar’s collection is one I still recommend. If haunting stories of any kind suit your fancy, then by all means, let this book find a home at your bedside and prepare to unleash some horrors from its pages. Thank you to NetGalley and Macmillan-Tor/Forge for providing a free copy of Extremities in exchange for my honest review. This review and more can be found at midnight coffee monster.